I captured this photo at Bangkok's Subarnabhumi International Airport when me and my kids arrived at Bangkok last October 28, 2012 for our week long vacation. Bangkok is known for its beautifully grown orchids. I couldn't help but admire those gorgeous flowers in full bloom. 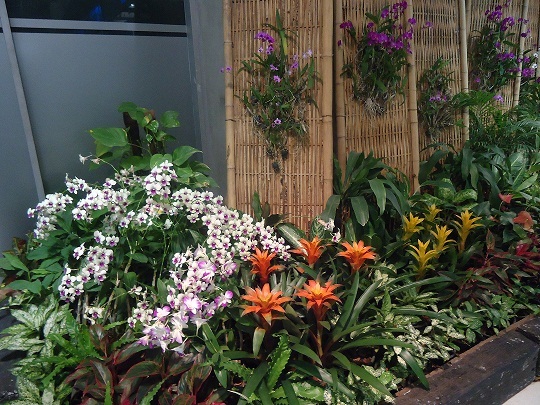 These orchids are neatly arranged in a very long plant box adorned with bamboos, and the vibrant colors of those orchids lured every by passer to have their photos taken in front of those piles of orchids. These orchids are really beautiful. Thanks for sharing. By the way do you know the name of orange colour orchid?